Marnie Kramer's SSHRC-supported research aims to help nursing students to successfully transition into their careers. Kramer, who holds a PhD in Nursing from the University of Toronto, aims to create a Canadian-based program to help nursing students successfully write the National Council Licensure Examination (NCLEX – RN). In 2015, the first year the exam was implemented, approximately 2100 new nursing graduates across Canada failed their first attempt. Though pass rates have improved since that time, Kramer still sees a need to help improve the success rate of students who struggle with the licensing exam. As the NCLEX is conducted by regulatory bodies, it is separate from nursing education programs. Students may be successful in completing their program but then go on to fail the NCLEX. At that point they are on their own, no longer a part of an education program yet unable to be licensed and start their careers. Current resources to help students prepare for this exam are primarily American-based commercial products. Kramer’s experience in this area has led her to believe that nursing instructors play an important role in seeing their students succeed in the NCLEX. Kramer has been helping students to prepare for registration exams for nine of her 15 years in nursing education. Her SSHRC-supported research focuses on testing the strategies she has been using in order to gather formal data on how they impact or support student success in the NCLEX. She has found tremendous support from her College colleagues. Kramer hopes, that through this faculty-led project, students will be able to go straight to successfully writing the exam after graduation, without having to take time to study. Early into her SSHRC funded research, Kramer is seeing success. “The first five repeat writers of the NCLEX, using the tools I have developed, passed the exam,” Kramer added. 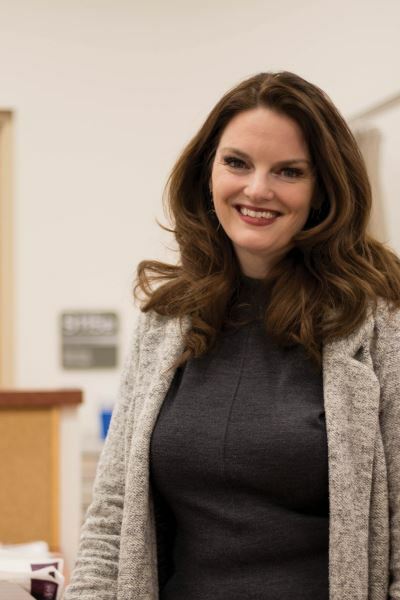 Once her research project ends, Kramer will begin to introduce her findings in nursing communities, including the Canadian Association of Schools of Nursing, as well as to nursing regulators. She will then make a decision about what to do with the tools she has developed, exploring both commercial and non-profit options. Learn more about Bachelor of Science in Nursing at College of the Rockies.